“Just the tip of the Iceberg” That phrase is a common saying people use to denote when there is a hint or revelation of something that is larger or more complex than on the surface of things. That phrase describes that what we see, from our own point of view, is small in comparison to the overall bigger picture of what is really going on away from public view. 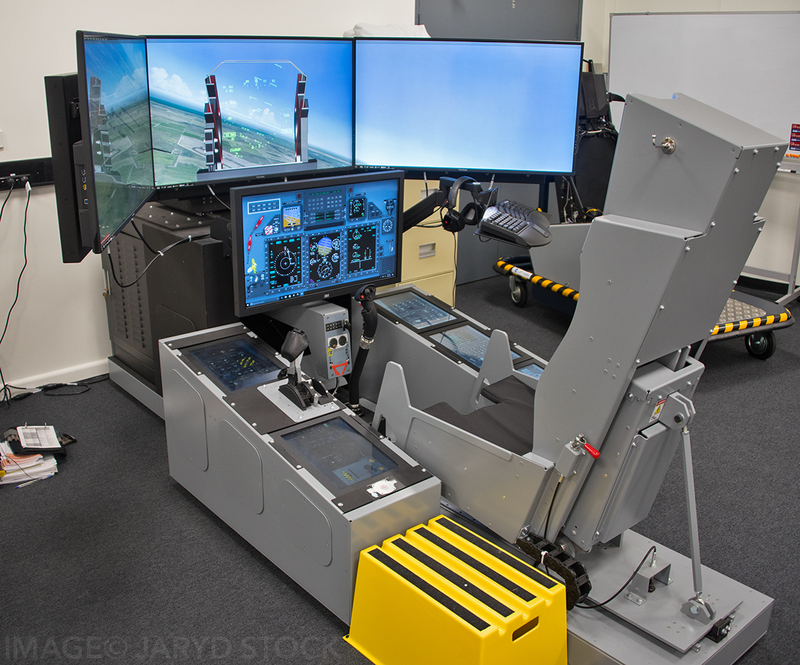 AIR 5428 Pilot Training System is a project for the Royal Australian Air Force commissioned by the Australian Government to upgrade, and see a significant change for the better, the way in which training pilots for the RAAF, Australian Army and Royal Australian Navy is undertaken. 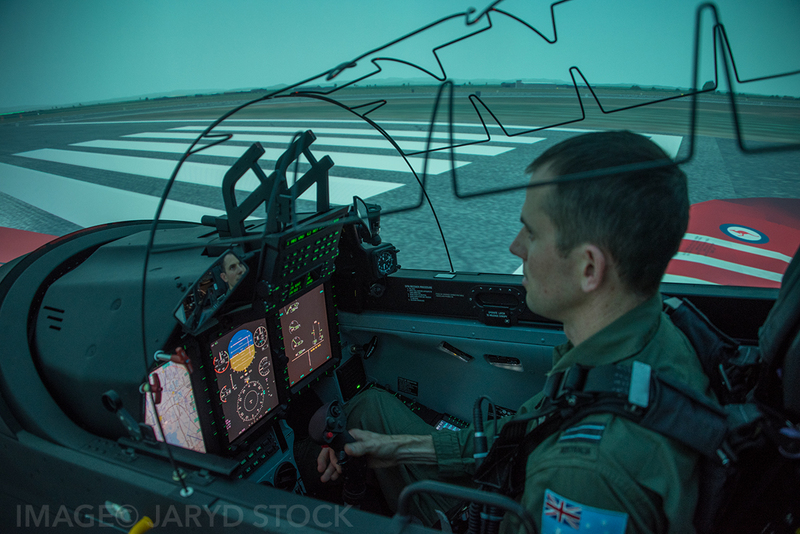 The Pilot Training System will undertake a huge leap in giving the next generation of aircrew all the help they need in graduating to the front line aviation units. AIR 5428 project also required that new aircraft be acquired to replace the Pilatus PC-9A that is currently in service with the Central Flying School (CFS) at RAAF Base East Sale and with Number 2 Flying Training School (2FTS) located at RAAF Base Pearce, and is more commonly affiliated in the public eye as being the aircraft of the Roulettes, the RAAF’s aerial demonstration team which usually consists of a six ship PC-9 routine. 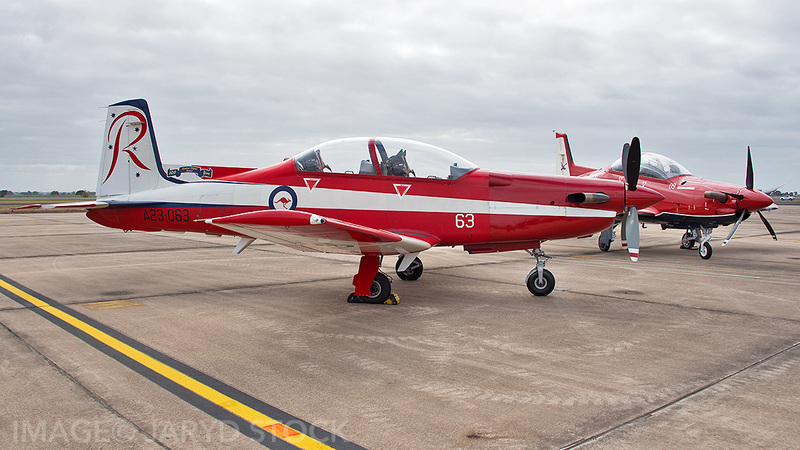 Also this new aircraft would be required to replace the Pacific Aerospace Corporation CT-4B Airtrainer operated by the RAAF with British Aerospace Systems in central New South Wales at Tamworth. 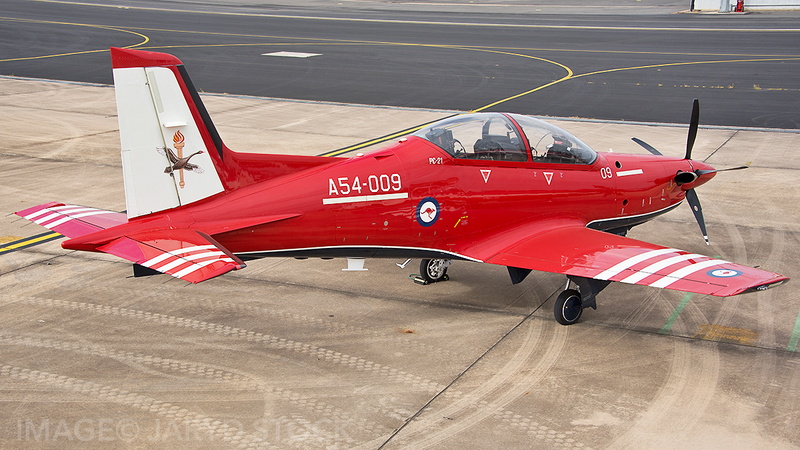 The CT-4B is operated by Basic Flying Training School (BFTS) which conducts flight screening and basic flying training for ADF pilot candidates. In late March 2014 a consortium under the title of Team 21 consisting of Lockheed Martin, Pilatus and Hawker Pacific submitted their bid for the AIR 5428 project. 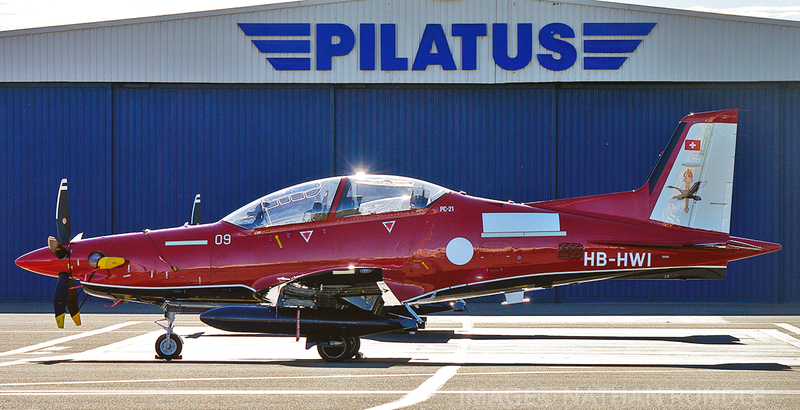 The bid was based on the Pilatus PC21 advanced trainer to replace the PC-9 and CT-4B aircraft. 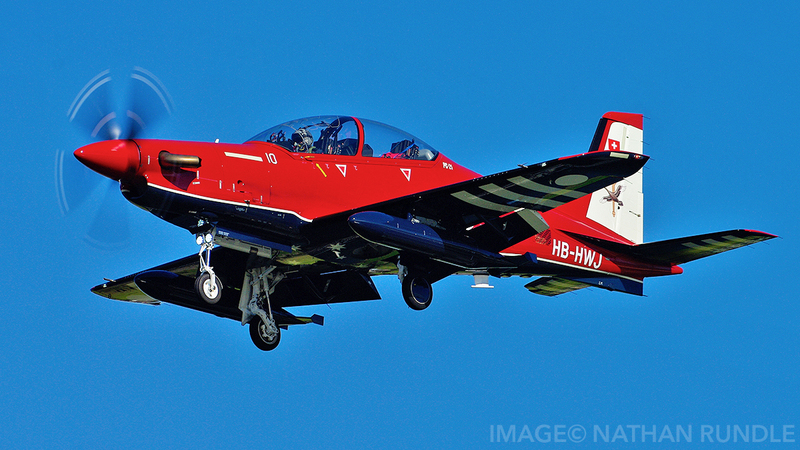 Another bid was launched by BAE together with Beechcraft and CAE Australia based on the Beech T-6 Texan II aircraft. 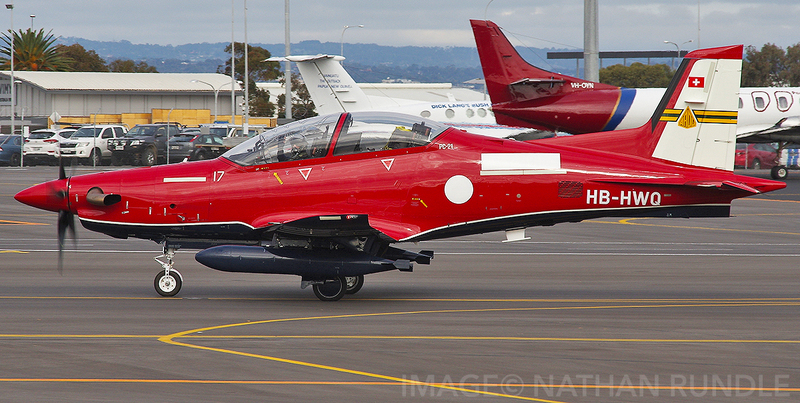 On September 6th 2015 then Australian Minister for Defence, Kevin Andrews announced that the Lockheed Martin led bid with the Pilatus PC21 was selected as preferred tender to supply the RAAF with 49 airframes, four of which would replace the PC-9A with No 4SQN at RAAF Base Williamtown in the Forward Air Controller – Joint Terminal Attack Control role, and three PC21s operated by Aircraft Research and Development Unit in air test support and located at RAAF Base Edinburgh. 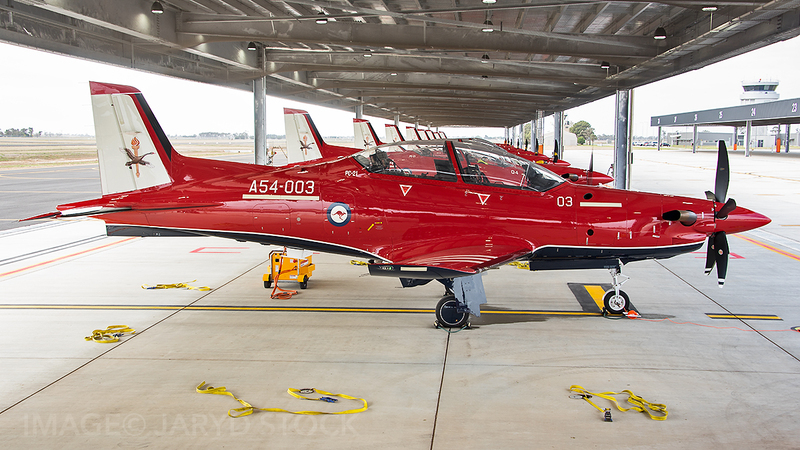 Along with these new aircraft the new pilot training system will see BFTS relocate from Tamworth, New South Wales to East Sale, co-locating with CFS, while advanced training continues at Pearce in Western Australia. 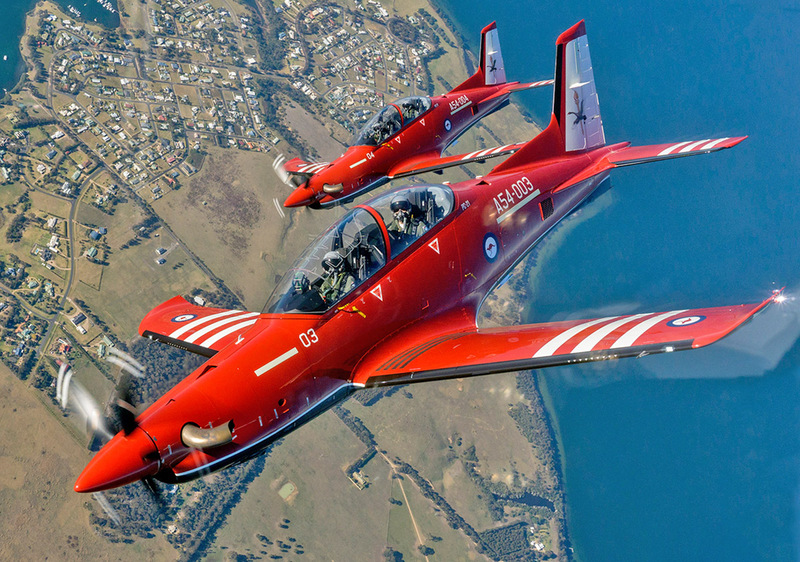 These efficiencies also means the new contractor-supported Pilot Training System will see an increase in ADF pilot training throughput despite operating fewer aircraft than the current system, using synthetic training e.g. 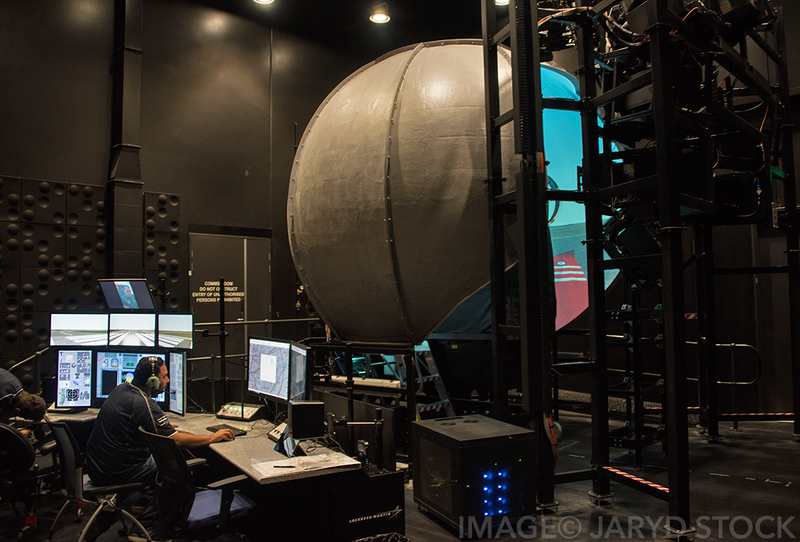 simulators to enhance the aircrew competency before stepping out to flying the real thing. 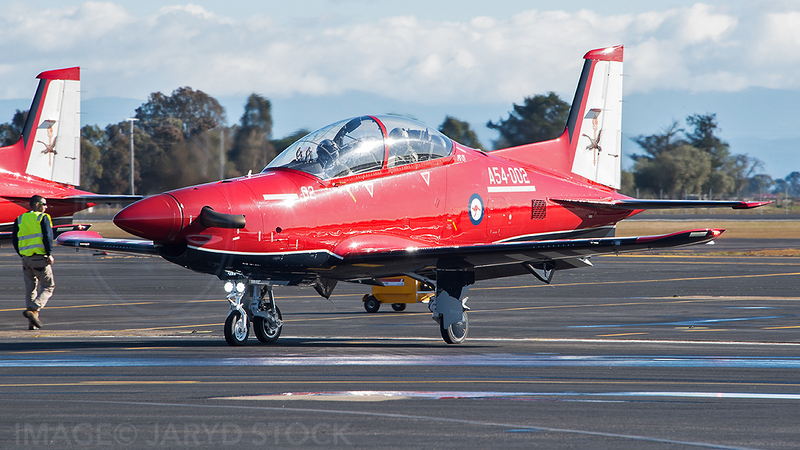 The PC21 in our own words is “simply divine” an aircraft slated as the worlds most advanced pilot training aircraft. It will fulfil the needs of RAAF training the next generation of young women and men as they fulfil dreams they had flying within a truly 5th generation air force with airframes in the front line units such as the F-35 Lightning to the P-8 Poseidon to the ARH Tiger, MRH90 Taipan and MH-60R Romeo Helicopters. • on-board oxygen generation system. 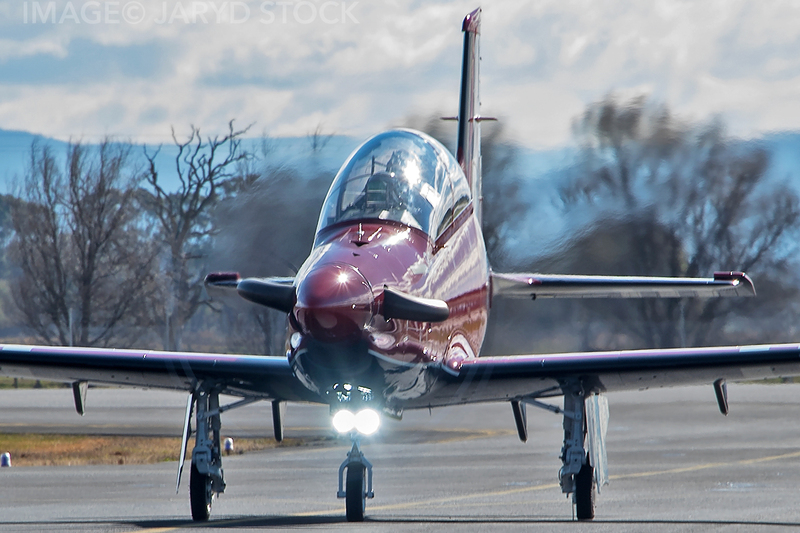 A digital power management system and automatic yaw compensation makes the PC21 easy to fly in the circuit, while still providing the performance required for advanced training. The capabilities of the PC21 make it ideally suited to a very wide training scope. It can be used from day one in the training system, eliminating the need for an elementary flying training fleet, but also bridges the performance gap between traditional turboprop trainers and lead-in fighters. 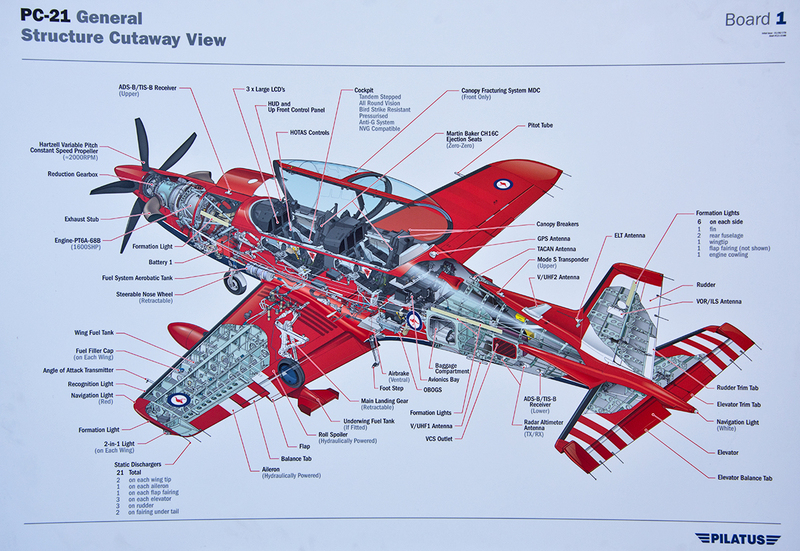 The PC21 specifications truly see it as a logical replacement for the PC-9 and CT-4B, its engine is a Pratt and Whitney PT6A-68B turboprop unleashing 1600 shaft horsepower. 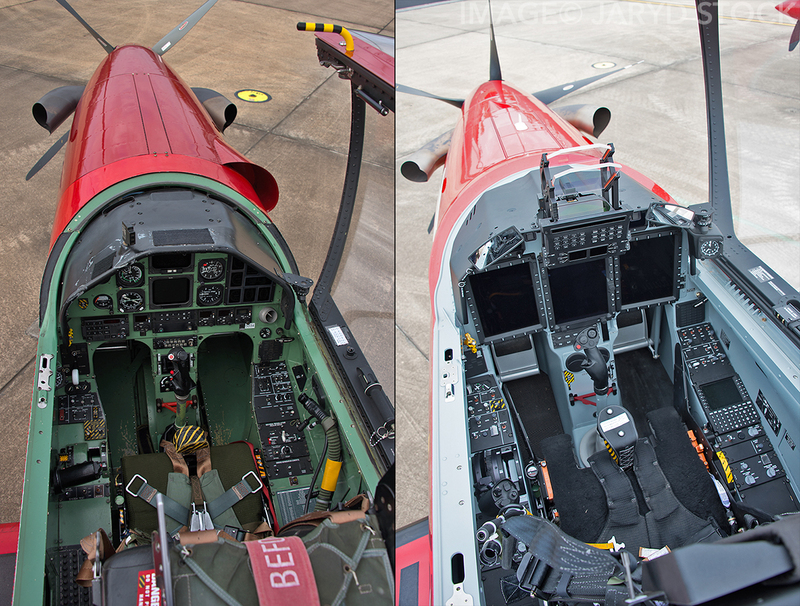 The aircraft is sleeker-looking and looks a little larger compared to the PC-9 its length is 11.2 meters with a height of 3.8 meters, its wingspan is deceiving compared to the PC-9 as it is 9.1 meters which the PC-9 has a straighter and bigger wing area compared to the 21. The PC21 also is heavier with a maximum load of 3600 kilograms with a maximum range of 1,333 kilometres and can operate to a ceiling of 25,000 feet. APD spoke to Group Captain Dennis Tan Officer Commanding the Group Training Wing and senior officer for RAAF Base East Sale. For a young person today there is some real excitement for those who have the chance to become an aviator at East Sale. 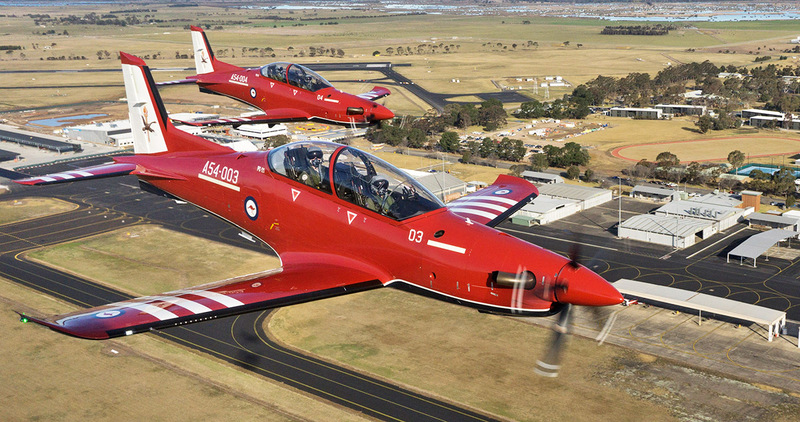 A lot has been spoken about the PC21 and how great the aircraft is and the thought that has gone into selecting the aircraft for the RAAF, it is a truly exciting time for the RAAF’s Air Training Wing. But it does take dedication on ones part to succeed in fulfilling those dreams and a lot of time preparing one’s self to achieving their own goals, and so the RAAF and ADF have invested a lot of time in thinking how it can achieve in helping one reach those dreams of serving their country flying in the front line ADF aviation units. With that, brand new facilities are being built in preparation for trainee aircrew and Qualified Flight Instructors (QFIs) to start their learning and instructing courses in early 2019 at East Sale and also at Pearce. 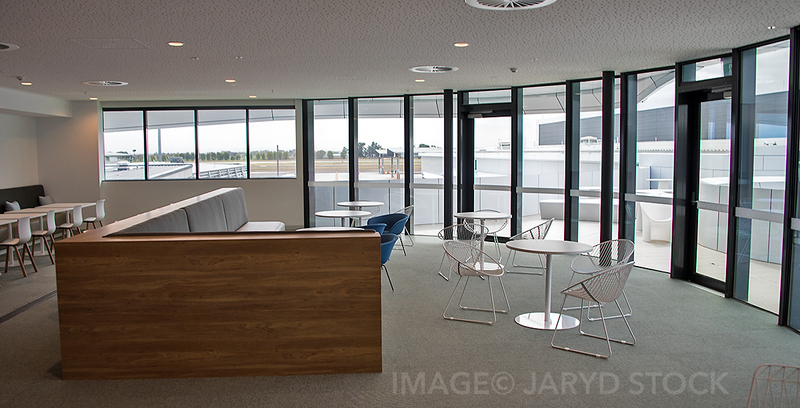 The new facilities at East Sale merge CFS and BFTS together operating from the two level building. Much like the vision of Plan Jericho, the RAAF’s near future networked and integrated fighting force, the idea of networked and integrated learning has been implanted in the way the next generation will be trained. 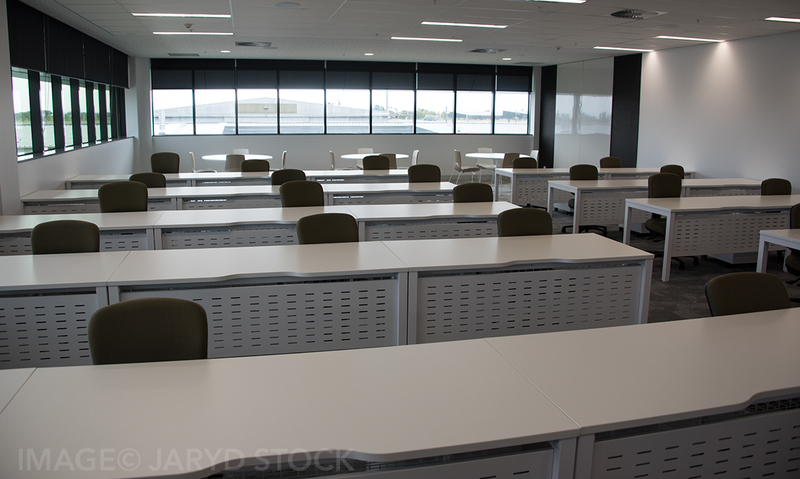 This new facility is founded on university styled layout with classrooms built to provide a typical classroom feel, but also spaces where students can take time to learn in their own style, the building’s design represents a modern approach to education philosophy, with classrooms, briefing rooms and offices for students and QFIs and management. 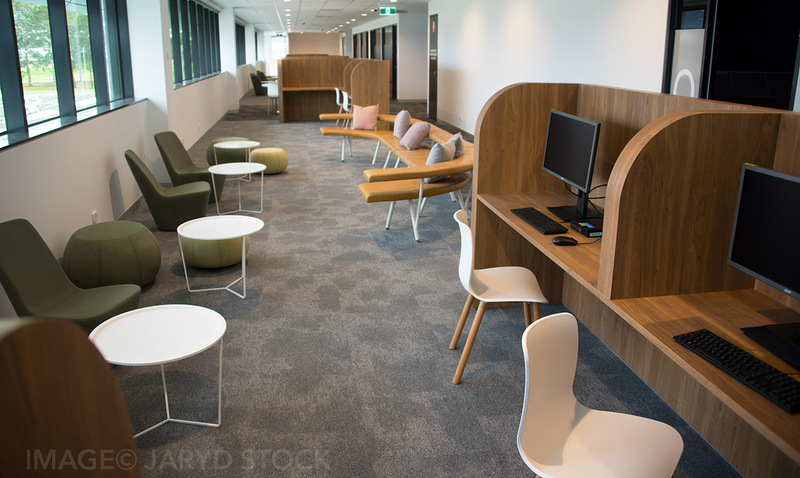 This promotes a networked and integrated feel which is exactly the way the RAAF is heading so is instilling students with this principle early on. GPCAPT Tan details why the design of the building is incorporated into the thought gone into this new era of training ADF pilots. Within the new teaching facilitates, Air Force has a flowing environment and has incorporated the whole system, including the hanger which can accommodate up to 22 PC21 type aircraft at a time and maintenance operation, built into the facility, so that trainees become familiar with the total system involved in generating air power. 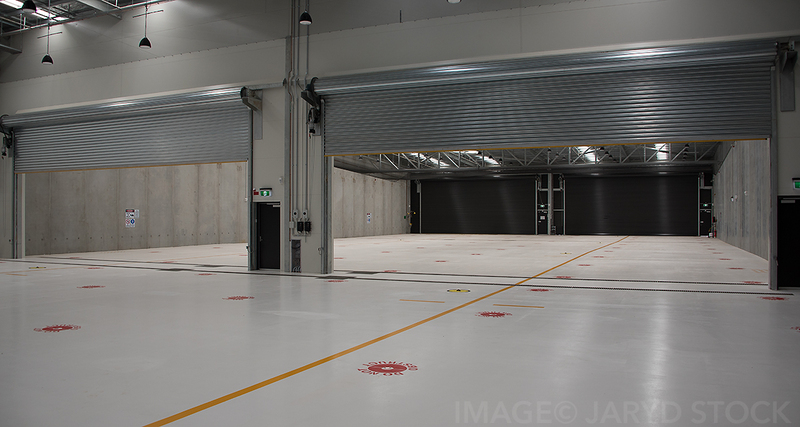 Along with the new combined training centre, East Sale facilities include flight line shelters, new taxiways and aprons to accommodate PC21 operations to ensure smooth traffic flows for the increased movements that adding basic training will bring to the aerodrome. All of this thought-out process makes for a truly integrated and networked team working together efficiently and effectively in a 5th generation Air Force into the future. With any best practice learning institution such as schools and universities in today’s world, gone is the usual eyes to the front of the classroom watching the teacher write on the chalkboard, now it’s more of a flipped approach where learning can occur in different places. The RAAF has gone that extra mile in thinking out how to best help the student hone their craft in 15 months and graduate at their end of their course. Before the trainee aircrew begin their journey on the PC21 they are given a laptop or personal learning device (PLD) and access to the Cockpit Procedural Training (CPT). 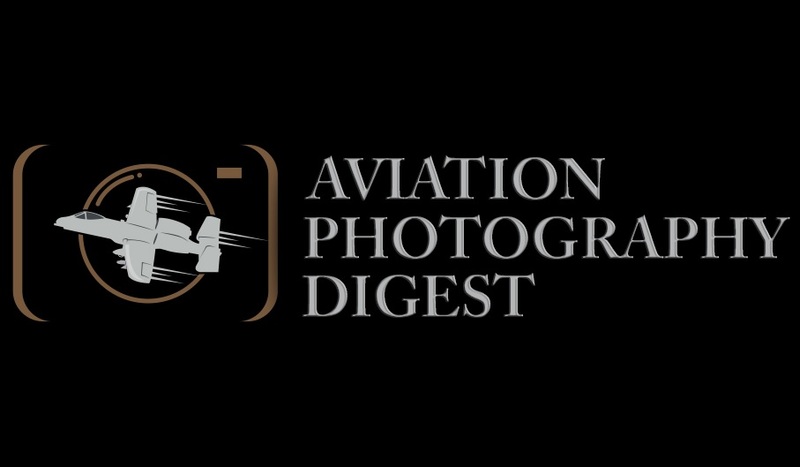 Gone is the hard copy manuals and now more computer based training and synthetic training has been established to help the trainee aircrew get a great foundation through a visual stimulation of sorts, in knowledge of aircraft systems. The RAAF has been training its experienced QFI pilots, building the training work force ready to induct the first pilot’s course in 2019. In effect, baby steps at first by introducing these concepts to the trainers. 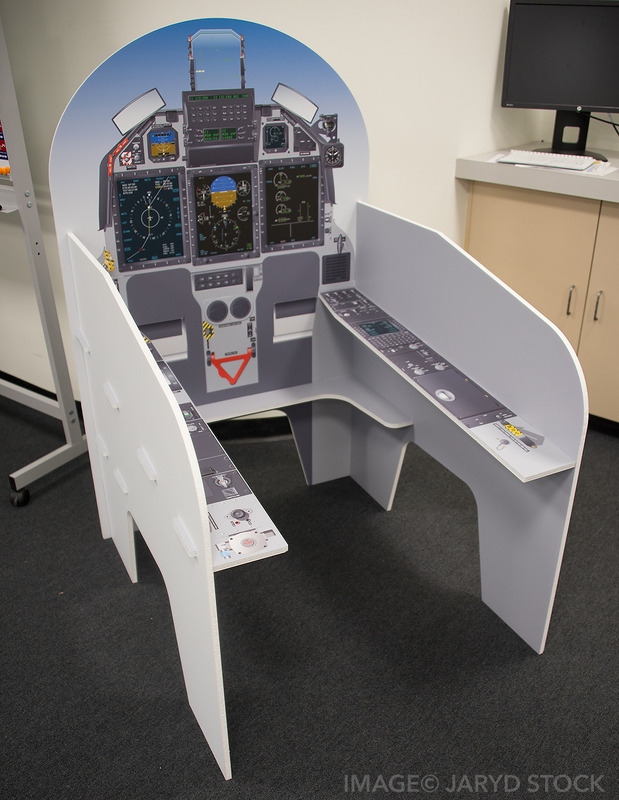 These same materials will be used by student pilots and trainee flying instructors, and the QFIs who train them need to be familiar with these same systems. 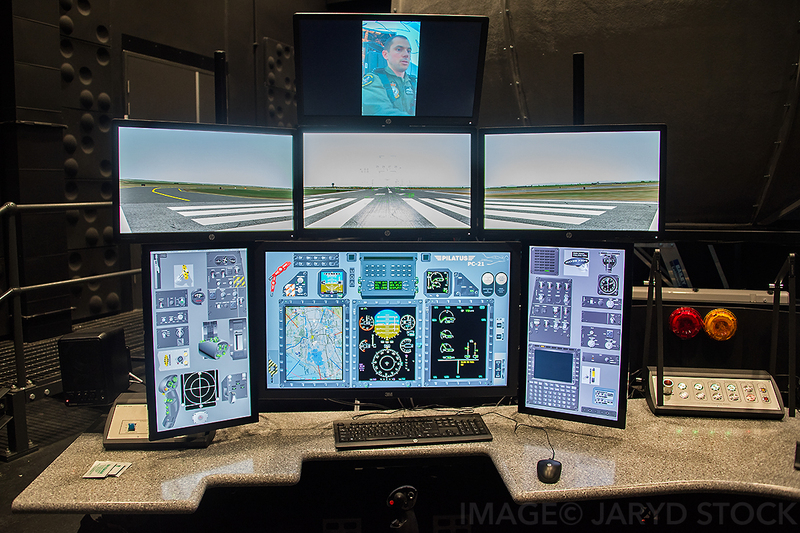 The PLD and CPT emulates the cockpit of the PC21 that helps students learn the various aspects inside the PC21 such as programming the flight management system to using the up-front control panel and radios as an example. 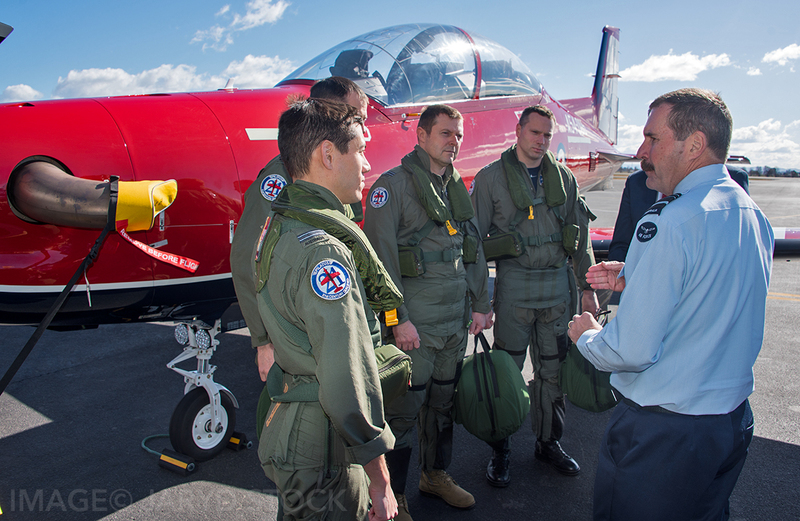 “The RAAF are working towards a 5th generation learning environment to meet the needs of a 5th generation air force. 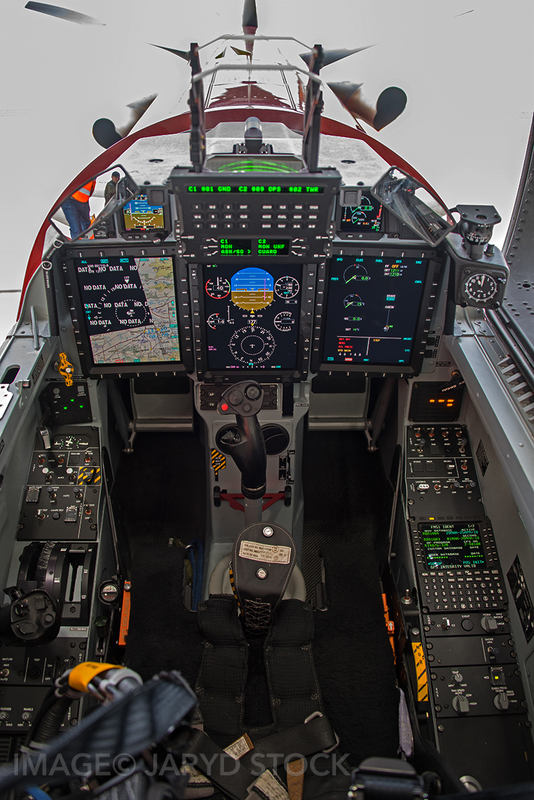 Take the F-35 cockpit for example, or look at the 4th or 4.5th generation cockpits like those in our P-8 (Poseidon), F/A-18F (Super Hornet) or our C-17 (Globemaster). Everything now the RAAF has is modern, everything has a head up display a glass cockpit, an FMS and a mission computer, so students are being raised in that environment”. 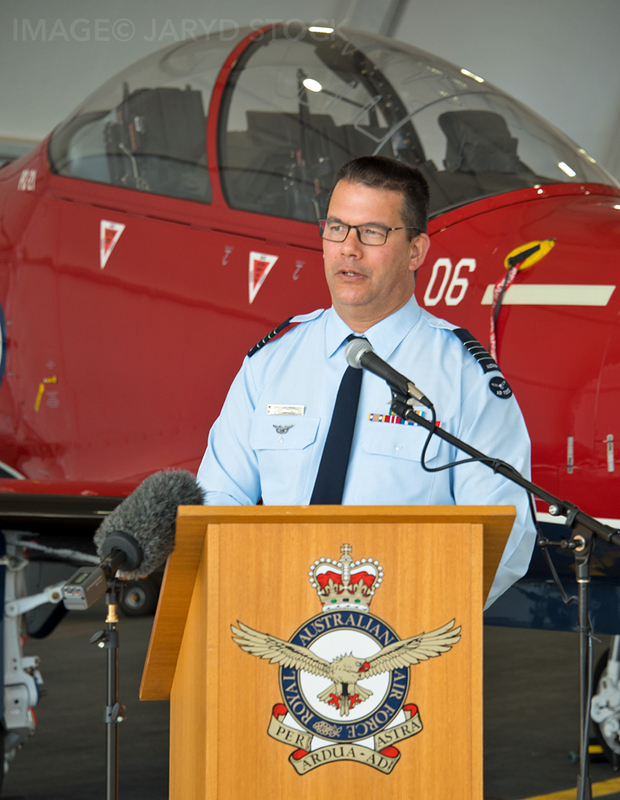 Asked if he was proud on leading a dedicated team this far into transforming the ADF’s new way of teaching trainee aircrew and how far AIR 5428 had come, he explains. “In all this excitement working towards a full operation capability for AIR 5428 it’s vital that we don’t lose sight of the very important job that is being done by the current pilot system. 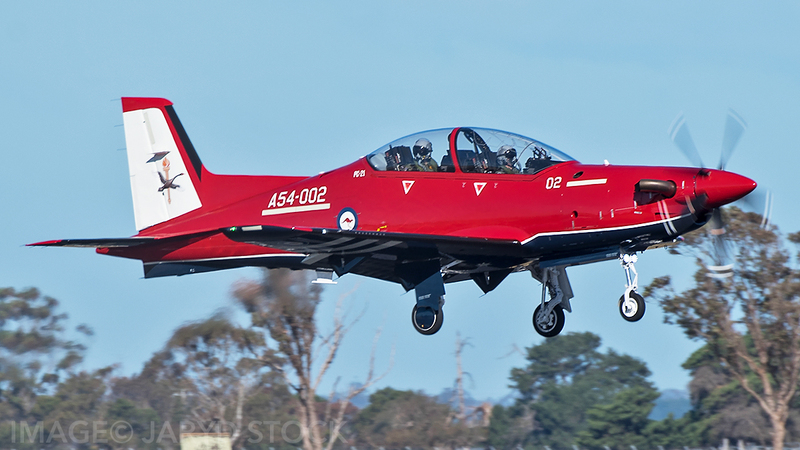 The CT-4 and the BAE operation up in Tamworth needs to continue in the excellent way it has, and also the PC-9 as a workhorse of the CFS and Roulettes operation: they need to continue with the PC-9. The current system needs to nurtured and supported through to its withdrawal just as the new system has to be raised knowing that the people for the new system are coming from the old system. The new era of training aircrew is on the horizon for the RAAF as it navigates its way to a 5th generation air force the way in which students are being taught is also in line with that process. On the surface the PC21 offers the RAAF a great tool to utilise in training ADF aircrew from the beginning right through to the advanced stages of flight training. 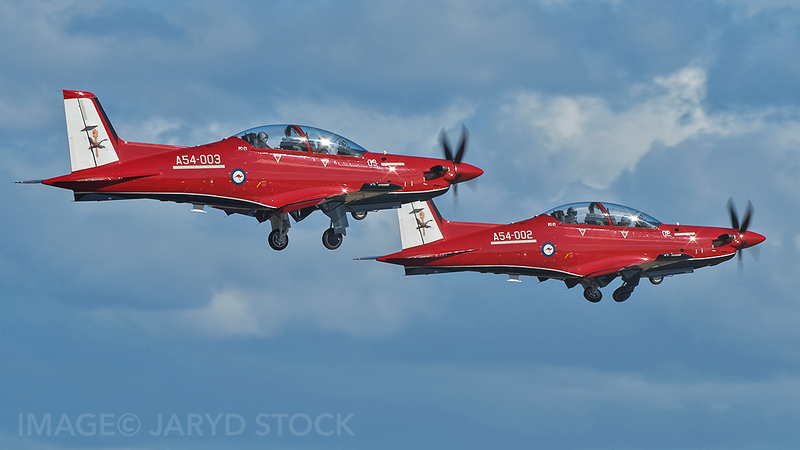 A huge investment has been made behind the scenes making sure that quality, quantity and time are invested into that younger generation that dreams of flying, with also a theme of being an inclusive networked integrated force that will be better equipped for the future. This next generation of students are in for some really exciting times ahead.